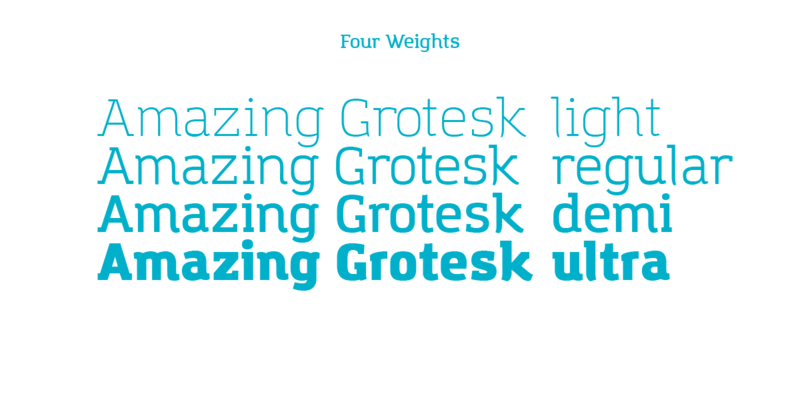 Amazing Grotesk is a semi slab serif typeface family designed by Cosimo Lorenzo Pancini developing an original logo created by Francesco Canovaro. It's a typeface designed to embody the characteristics of the startup scene: a feeling of innovation, information and energy, with a desire for simplicity and straightforward communication. The basic design shapes for the font come from the strong personality of the ultra heavy characters drawn by Francesco Canovaro. 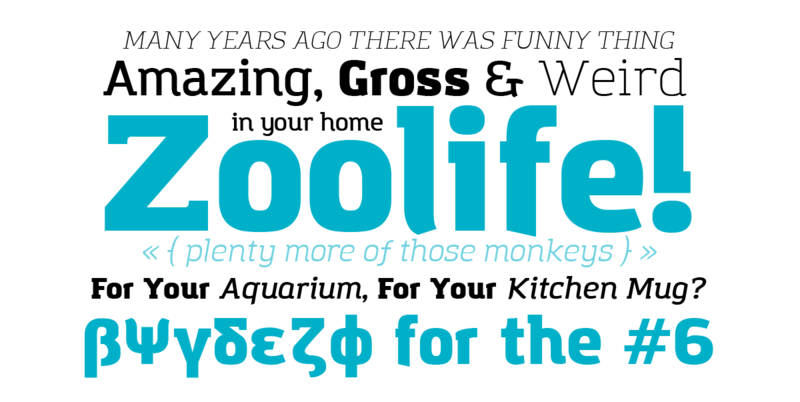 The basic shape has a modernist logic with slight calligraphic variations like the tail of the j, of the l and the hectic k. Uppercase letters are drawn with a slab serif look, as the font is thought to work better in upper/ lowercase combinations. 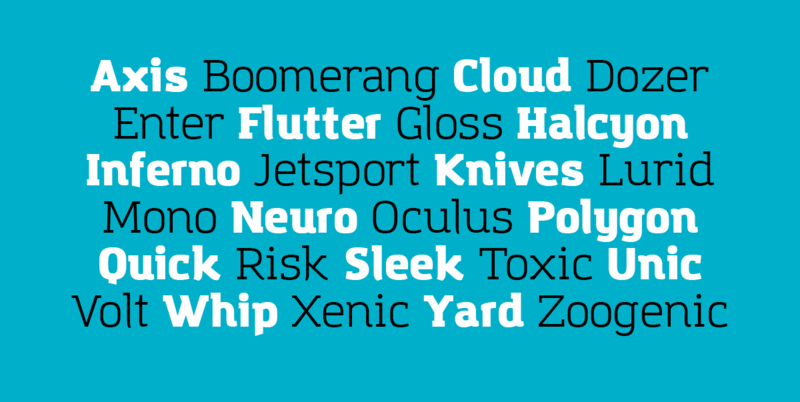 The family comprises 4 weights from light to ultra with an italic version. 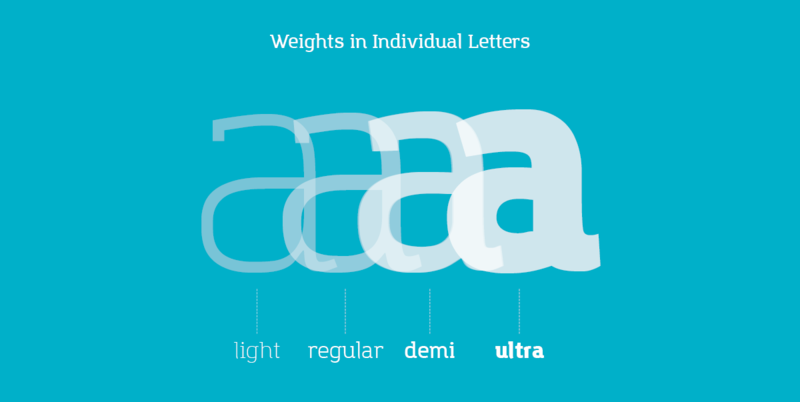 Lighter weights were developed keeping the width of the character consistent and adding length to the slab serif. 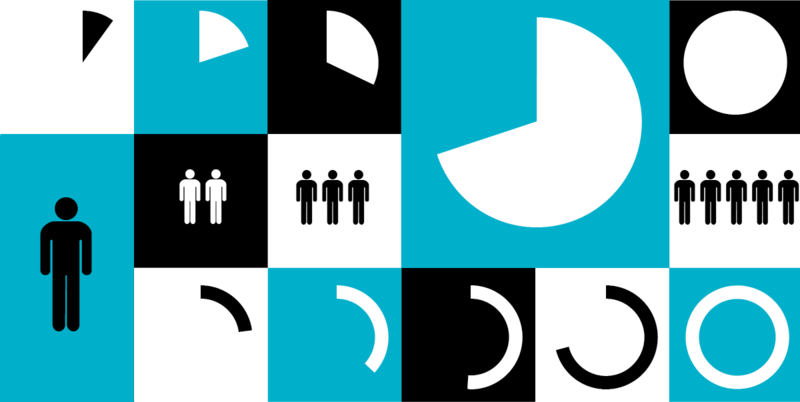 into corresponding pie and bar charts, as well as male and female icons. The "@" character is used as a wildcard for the special sequences: following it with a "p", for example, and a number from 1 to 100 will display the corresponding pie chart. 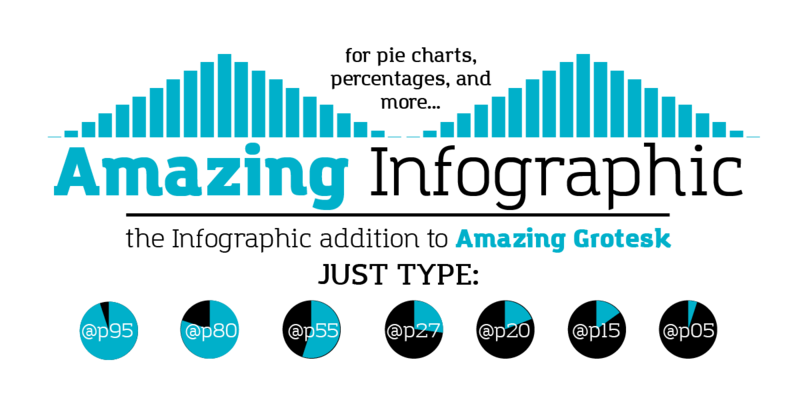 In this way, infographics can be kept editable at any moment without having to use graphic design software. 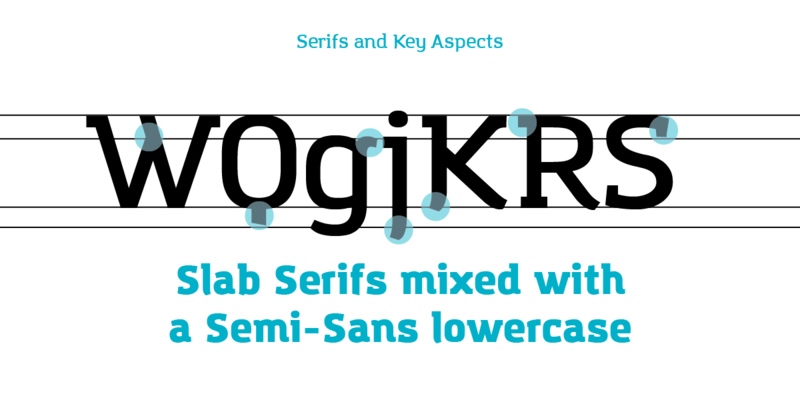 Also, Amazing Infographics can be used with font face technology on the web o display charts that are both scalable and easily changed in realtime through dynamic html5.